By the time it was done, both trucks were completely full with 35 pallets, which amounts to 96,000 pounds of water, or 11,500 gallons! Along with the rain, there truly was an "outpouring" of support. 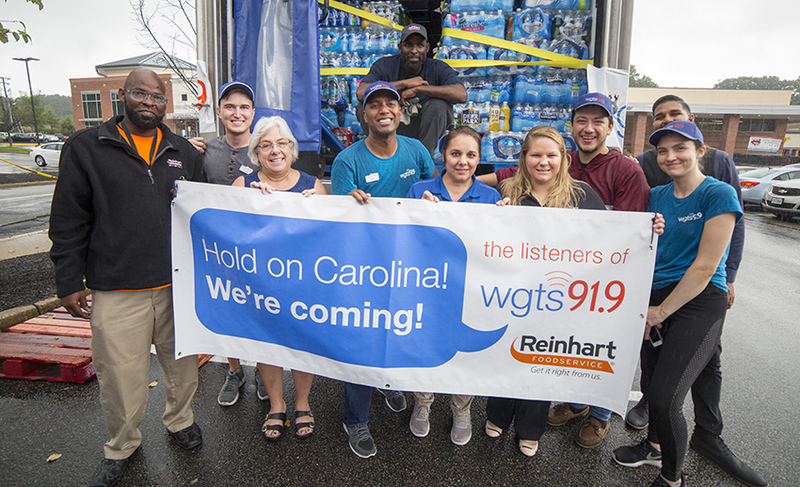 We were honored to team up with our good friends at His Radio in Greenville, South Carolina, who helped us coordinate with Harvest Hope Food Bank who took the delivery of the water. They will begin delivering it immediately to the people who need it the most in both North and South Carolina. We were also very grateful for the shout-out from our local CBS affiliate, WUSA-9 that came out and did a piece about what was happening. As always--you are amazing! 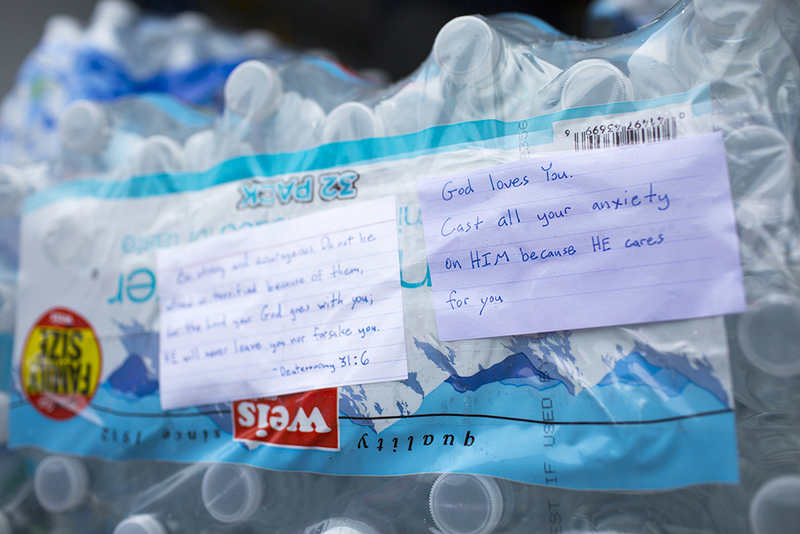 It's humbling to know we can count on you to come through to encourage others in our community, and around the world.